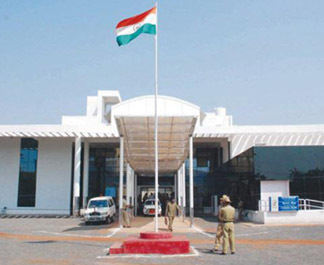 “The national flag should be hoisted and displayed on the building” this is Flag code for the Indian National Flag. On the new corporation, building the national flag was hoisted not on the building but in the premises of the building. On the old building, it was atop the building. This is violation of the Flag code and a cognizable offence. However, the Police have not done anything in this matter. I did try to get the exact Flag code, but I was not able to get the complete codebook. The High Court yesterday said that the Mayoral poll for Belgaum have to be held on March 30, it was in reply to a petition filed in the High court against the postponement done by the current mayor.